Wat is dit voor site? Wij zoeken de goedkoopste boeken op internet. Reframing the Agendavonden we het goedkoopst op Bol.com voor €58.99. We hebben gezocht in nieuwe en tweedehands boeken. Rechtsonderaan de pagina kan je het boek direct bestellen	via Bol	.com. Collects new insights on current security problems, especially those related to arms control and disarmament. 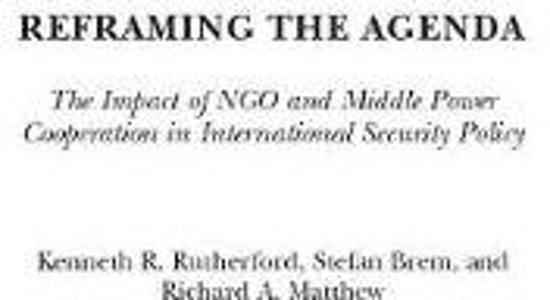 Contributors argue that the cooperative efforts of NGOs and middle powers have positively impacted the use of child soldiers, the employment of cluster bombs, landmines, nuclear weapons, and the proliferation of small arms and light weapons. In doing so, they conclusively show that global players other than superpowers can create alternative and effective solutions to enduring security problems.